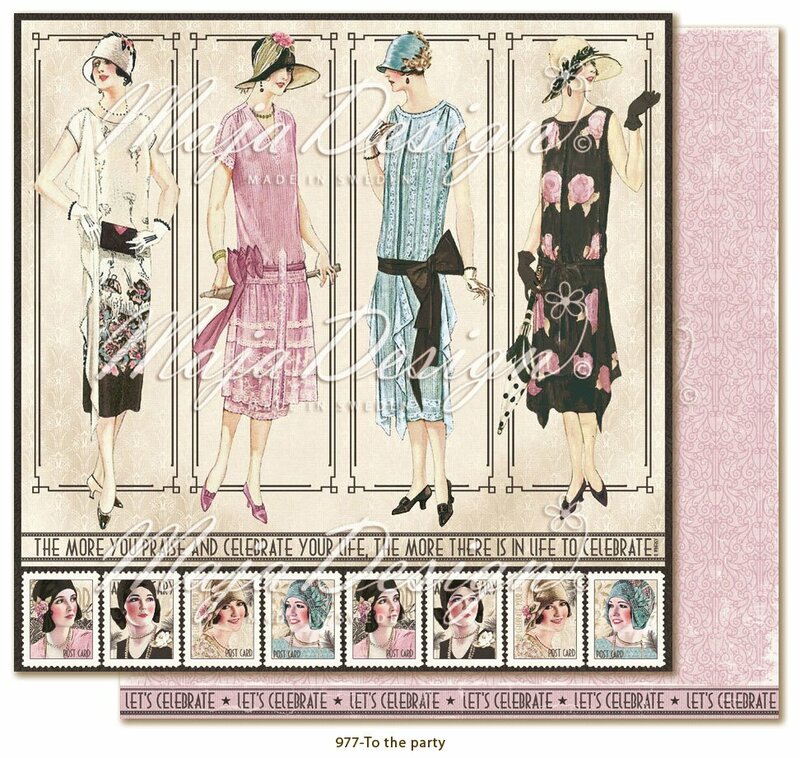 This 12x12 double sided paper has Glamorous Ladies in the frontside - - Ready to Cut Out or Fussy Cut. The reverse side has a Damask Pattern. Look for other Coordinating Images, Ephemera and Designer Papers. Celebration Collection by Maja Designs that are imported from Sweden.